Being part of our recent joint event with the Children’s Rights charity Lumos, ‘Our Voices, Our Choices, Our Freedom’ was amazing and powerful. What was most amazing and powerful was seeing people with learning disabilities coming together, not only to have a voice, but we were angry and passionate about closing down institutions and about having a say on how this should be done. We are wise and we know other ways of doing things that will work better. We felt a part of everyone. We all want the same. We felt very proud that we have a learning disability and that we are part of a change. 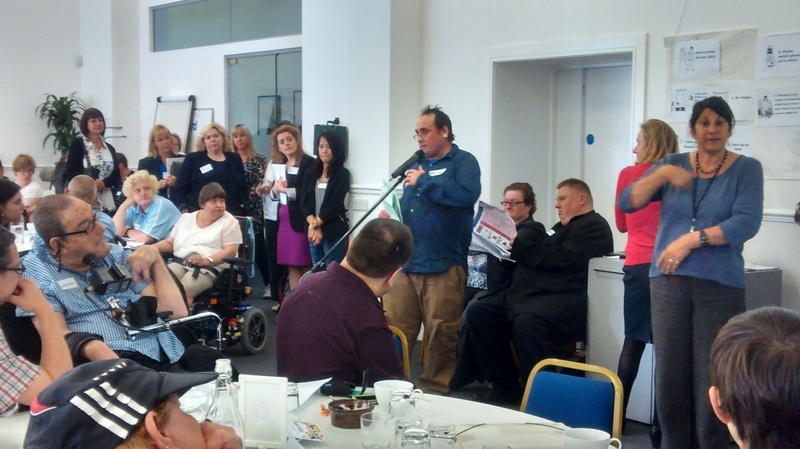 At one point at our event, when we were writing our demands, people with learning disabilities demanded a ‘pledge’ for Action from the professionals. It felt good, it felt that the power turned, the professionals were working FOR us. Usually we are at the bottom, often we are scared of professionals but in that moment the professionals looked nervous, we had the power, we were encouraging them to sign and pledge their support. It felt like they had no option. We felt as if we were part of a passionate angry army, we were all fighting passionately and powerfully after years of being ignored, bullied, patronised and silenced. It felt amazing. As people with learning disabilities we often feel left out. We are left out of communities and put in institutions, we are left out of employment, we are left out of organisations and we are left out of planning futures for other people with learning disabilities. Why can’t you stand in our shoes and share your power? Sarah Ryan, Connor Sparrowhawk’s mother, talked on Radio 4 today, about people being ‘enraged’ by what happened to Connor, and by the lack of change since. We feel it’s not fair for her, she’s been through so much and what happened to her and her child was criminal. We want to stand by Sara’s side and fight for all of our rights. For all the mothers and fathers whose children have died in institutions and for all the people with learning disabilities who are still there. We all have the right to be angry, and we are demanding our right to be listened to. Most people are allowed to get angry and complain about things, but people with learning disabilities are expected to be passive and grateful for any support we have. Not anymore! Those days are over, we have the right to be angry if we are not happy about things, we want to be taken seriously. Too often, our anger is seen as a medical issue, we are patronised and not taken seriously, like we have an illness because we are angry. We are angry because we are not being treated with respect, that’s why we are angry. When you are closing down institutions you don’t talk to us. Why not when we are the experts? We know what it is like to have a learning disability and to have our rights, choices and freedom taken away. 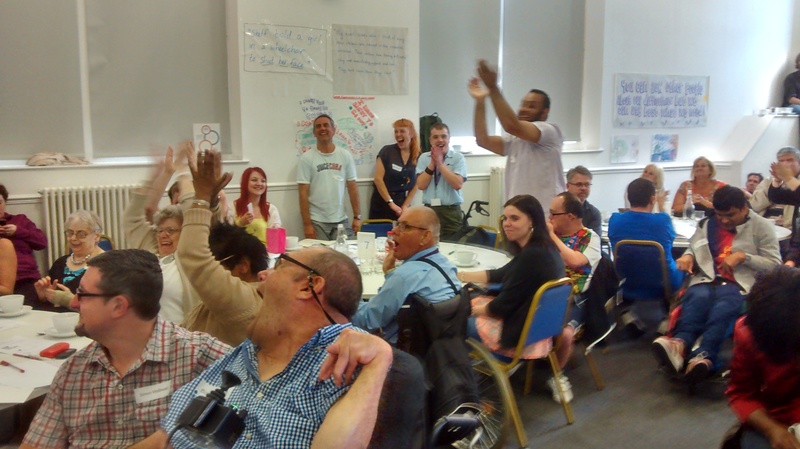 This week, there was a first meeting of the national group that has been set up to develop a guide on improving health and care for people with learning disabilities, and to help the government deliver their Winterbourne View pledge. Why did you not include any user led organizations? Why did you include only business organisations that are not user led? Where are our voices? We are STILL being ignored. You are not learning. Are you scared to involve us because we want to turn your power into our power? The fire within us is raging, and it will not go away until people with learning disabilities are respected, involved and included equally. Listen to us! Involve us! Share your power with us!